Life is a journey, not a destination, and the same could be said of the ROAD TO HANA. With zigs and zags that travel across 56 ONE-LANE BRIDGES and snake around more than 617 HAIRPIN CURVES, this SCENIC DRIVE truly is a heart-pumping adventure that’ll leave you breathless with anticipation for what lays around the next turn. But in order to appreciate the natural beauty of all you’ll encounter along the way, it’s best to take things nice and slow. • Don’t be in a hurry, or you’ll miss the panoramic beauty that distracts and delights from both sides of the road. • Switch drivers halfway through the route, so each person can appreciate the stunning vistas. • Don’t expect a splashy town once arriving in sleepy Hana. It’s a quaint town with general store, gas station and post office. 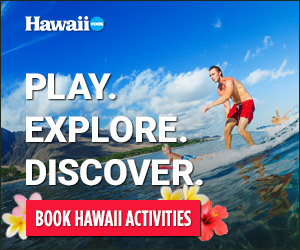 • Although the Hana Airport is only 53 miles from the Kahului Airport, the drive and its distractions can be an all-day event. • Get an early start. Pa‘ia is a good place to fill your gas tank and stock up on soft drinks and snacks. • The road to Hana is certainly a photo opportunity: waterfalls, tropical jungle, checkerboard fields of green taro patches, black lava rocks rimmed with white foam cast against towering cliffs in an ocean of the bluest blue. Even at a vexing 15 mph, this is a drive that overwhelms the senses, tempting one to just pull off the highway and stare.